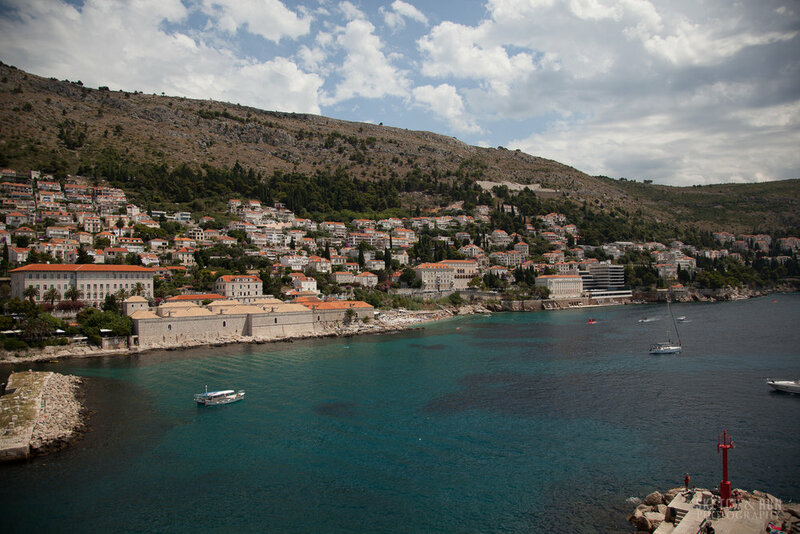 A day trip to Dubrovnik was the final 'stop' of our Europe tour and the journey from Vela Luka to Dubrovnik took a full four hours, involving a long ride on the bus, a ferry across to the mainland and then another long bus ride until the red rooftops of Dubrovnik came slowly into view. We stopped by a small town on the way named Ston for a bathroom break. A quiet town with a handful of tourist cafes, souvenir shops and a local market, the town also features the 'Great Wall of Europe' built into the mountains and stretches for a grand total of...5km. Such is the nature of tour bus style excursions that we only got the chance to go to the entrance of the 'Great Wall' and then had to be on the bus, but I did get to pet a beautiful cat so it was all worth it. One thing I've never regretted when travelling is getting up in early morning and even if I would have preferred to spend those early hours actually in Dubrovnik, the Croatian coastline was unexpectedly beautiful to watch from the bus windows, full of steep slopes and houses perched precariously on cliffsides, mountains in the distance shrouded a little in fog. 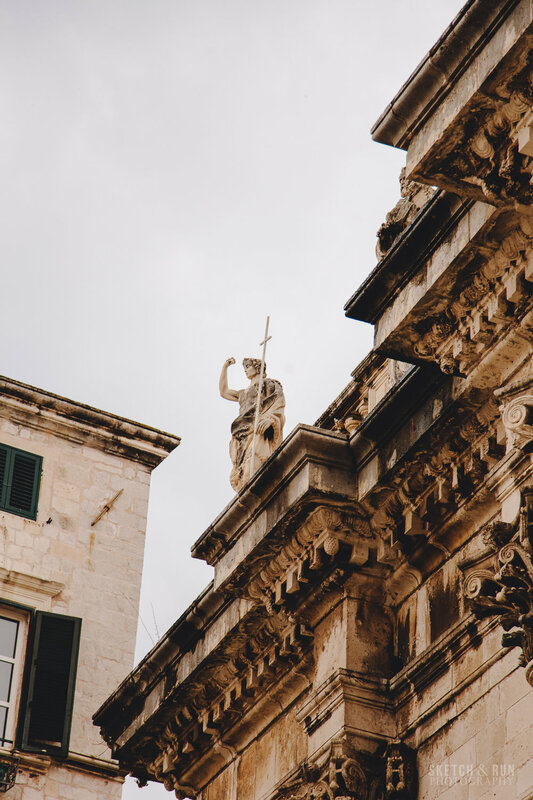 There is a curious quality to a walled city like Dubrovnik's old town that isn't quite explainable until you get on ground level. 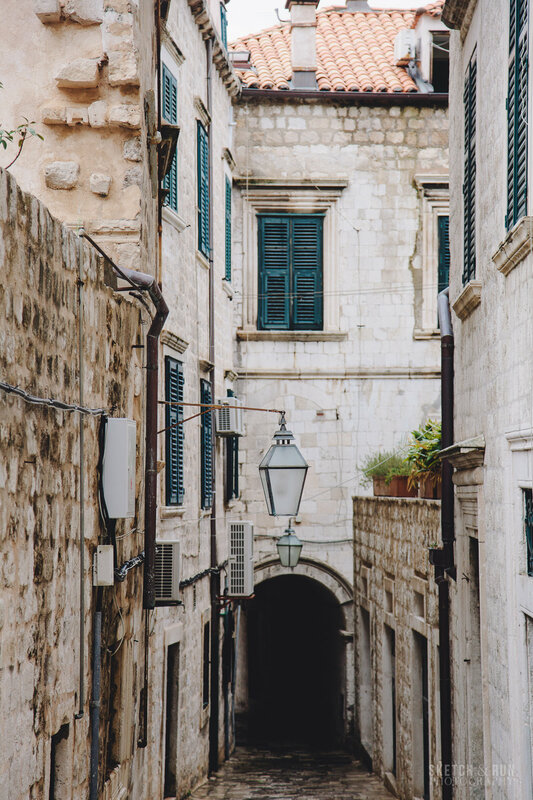 On one hand, it is exactly the romantic maze of hidden alleys and layered staircases you expect, full of backdoors and balconies hiding adventurous fantasy heroes, textured stone and stairs for miles, and an abundance of stray cats. At the same time, its also a place that caters very consciously to tourists and filmmakers that demand to know its secrets. The commercial nature of the place becomes almost overwhelming as you hit the main drag of the main square, full of movie set scaffolds and selfie sticks, along with some dubiously legit Game of Thrones merchandise (very dubiously legit) in gift shops. Also, your photo taking skills must be swift and decisive because tourists will literally barge into your photo on either side of you to take a photo of the view, despite the fact you're looking directly into a camera lens. Despite being a Game of Thrones fan, I really didn't recognise most of the locations being pointed out - one because movie/set styling is important and two, because all the locations were pretty spread out. So unless you go armed with maps and screenshot references from the show, just soak in the ambience of 'Kings Landing'. Or take a Game of Thrones themed walking tour, I suppose (or just...subtly tag along). Walking the wall is definitely worth it and I'd recommend it as the first thing to do. Again, due to the nature of our 'tour' from Vela Luka, we only had enough time to complete half of the walk before we were due for lunch. 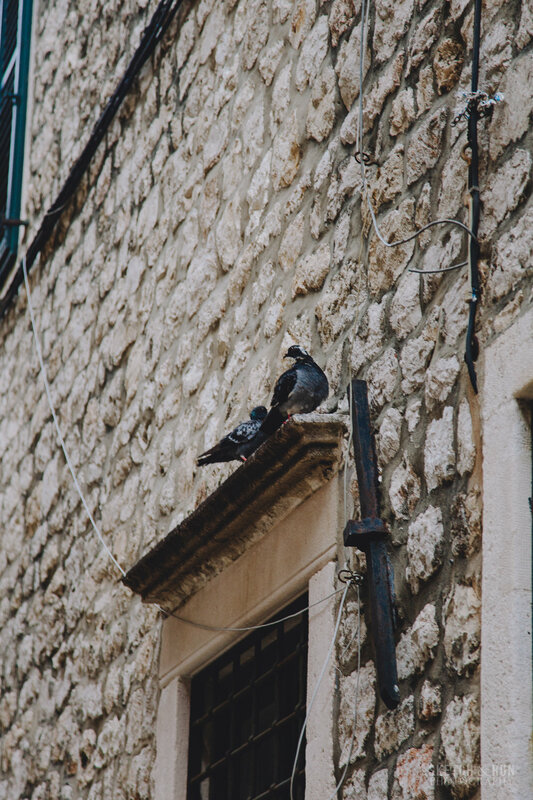 I will always always advocate any way of seeing a town from up high - and Old Town's iconic red roofs are absolutely worth it, as are the small details you notice up high, like laundry hanging on people's balconies, incomplete roof tiles and all the pigeons. 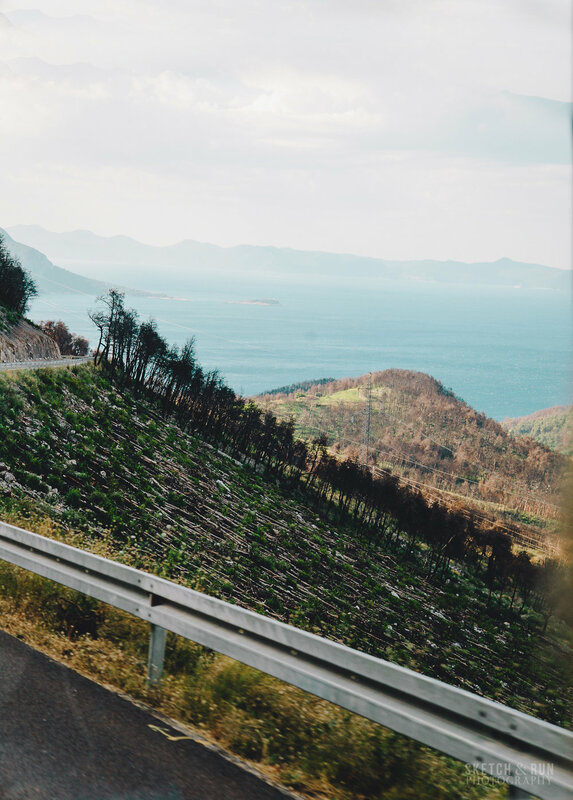 I don't believe in completely avoiding tourist centric hubs, but I do strongly believe these places are the ones you need to spend more time exploring so you can peel back some of the tourist veneer. 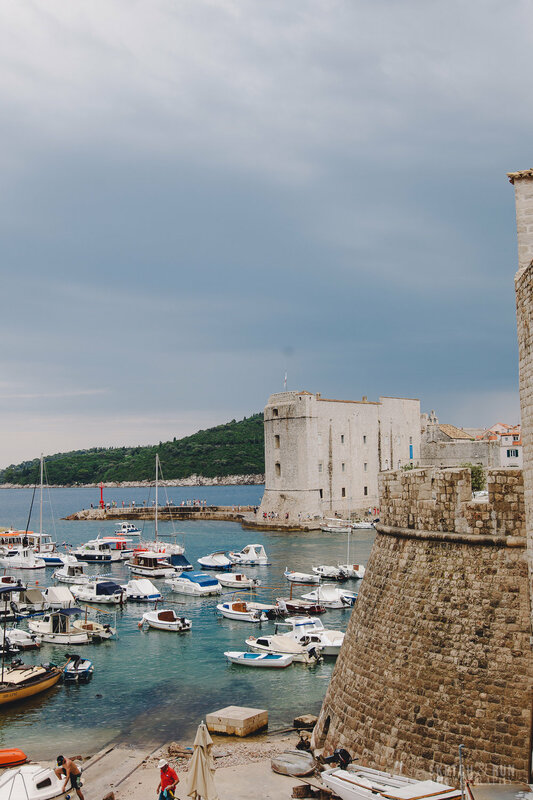 A half day was definitely not enough to explore even the whole wall, let alone the entire city, and it was cut even shorter by the fact we encountered our one and only torrential downpour in Europe on this day in Croatia.